The current production of Sontag:Reborn only begins to portray the complicated relationship between Susan Sontag and The Nation. The only thing to be regretted about the close-ups of limp penises and bouncing breasts, the shots of masturbation and oral sexuality, in Jack Smith’s Flaming Creatures, is that it makes it hard simply to talk about this remarkable and beautiful film, one has to defend it. Art is, always, the sphere of freedom. In those difficult works of art, works which we now call avant-garde, the artist consciously exercises his freedom. And as the price the avant-garde artist pays for the freedom to be outrageous is the small numbers of his audience, the least of his rewards should be freedom from meddling censorship by the philistine, the prudish and the blind. By 1964, Sontag had already married (and divorced) the sociologist Phillip Rieff, published her first novel, The Benefactor, and participated in the first issue of The New York Review of Books (a condensed version of her essay on Simone Weil was reprinted in a recent issue). As evidenced by its inclusion in Sontag: Reborn, the publication of her review in The Nation was an important part of Sontag’s emergence as one of the most important American intellectuals in the second half of the twentieth century. This form of prophecy and critical insight, this mode of radical will, can be extremely clarifying and stimulating for the willing reader. But politics is an unwelcome intrusion upon it. A radical critique of consciousness, so it is said, is itself a radical political ideology. Do not speak therefore of war protests, black demands, student rebellion; how can one talk of changing the political system when human consciousness is the fundamental issue? When consciousness is altered, politics will necessarily be different—or irrelevant. Both of these criticisms of Sontag would later be amended in the pages of The Nation, including by Sontag herself. None of this would make any difference if Sontag didn’t have such important influence on somebody, somewhere. I must confess, I don’t know anyone who looks to Sontag for esthetic guidance. But she takes herself so seriously, and her publisher treats her with such awe, that I can only presume the existence of a vast, anonymous readership, hungry for Sontag’s pearls. If these readers exist, their reverence is Sontag’s only real achievement—a notable achievement, to be sure, but a far more trenchant criticism of the world of American letters than any essay she ever wrote. If the intellectuals of the 1930s and the 1960s often showed themselves too gullible, too prone to appeals to idealism to take in what was really happening in certain beleaguered, newly radicalized societies that they may or may not have visited (briefly), the morosely depoliticized intellectuals of today, with their cynicism always at the ready, their addiction to entertainment, their reluctance to inconvenience themselves for any cause, their devotion to personal safety, seem at least equally deplorable…By and large, that handful of intellectuals who consider themselves people of conscience can be mobilized now solely for limited actions—against, say, racism or censorship—within their own countries. Only domestic political commitments seem plausible now. Among once internationally minded intellectuals, nationalist complacencies have renewed prestige…There has been a vertiginous decay of the very notion of international solidarity. A few years later, the late Alexander Cockburn turned the very same argument against Sontag herself, writing two blistering columns attacking her acceptance of the Jerusalem Prize for the Freedom of the Individual in Society—presented by the Jerusalem International Book Fair, though the prize committee consists of topic Israeli government officials—and for traveling to the city to accept it. 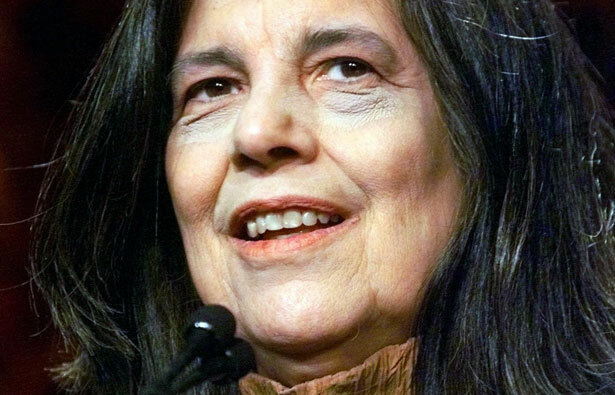 “Does Sontag see no irony in getting a prize premised on the recipient’s sensitivity to issues of human freedom, in a society where the freedom of Palestinians is unrelentingly suppressed?” Cockburn asked in an April 2001 column. The perennial destiny of principles: while everyone professes to have them, they are likely to be sacrificed when they become inconveniencing. Generally moral principle is something that puts one at variance with accepted practice. And that variance has consequences, sometimes unpleasant consequences, as the community takes its revenge on those who challenge its contradictions—who want a society actually to uphold the principles it professes to defend. The standard that a society should actually embody its own professed principles is a utopian one, in the sense that moral principles contradict the way things really are—and always will be. How things really are—and always will be—is neither all evil nor all good but deficient, inconsistent, inferior. Principles invite us to do something about the morass of contradictions in which we function morally. Principles invite us to clean up our act, to become intolerant of moral laxity and compromise and cowardice and the turning away from what is upsetting: that secret gnawing of the heart that tells us what we are doing is not right, and so counsels us to that we’d be better off just not thinking about it. The cry of the anti-principled: “I’m doing the best I can.” The best given the circumstances, of course. Let’s say, the principle is: It’s wrong to oppress and humiliate a whole people. To deprive them systematically of lodging and proper nutrition; to destroy their habitations, means of livelihood, access to education and medical care, and ability to consort with one another. That these practices are wrong, whatever the provocation. And there is provocation. That, too, should not be denied. Researched by and written with Richard Kreitner.